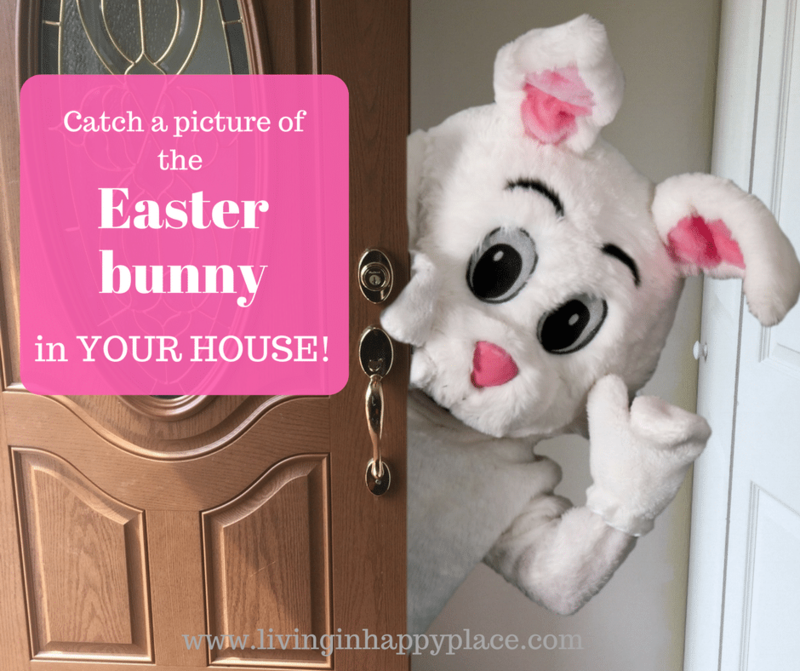 Catch a picture of the Easter bunny IN YOUR HOUSE! He IS real! Impress your kids by showing them a picture of the Easter Bunny IN YOUR HOUSE! Give them the best Easter gift idea that will have them running to tell their friends: “We caught the Easter Bunny in our house”! This post contains affiliate links. Living In Happy Place could earn a commission (at no additional cost to the customer) for referring customers who use my partner links. Imagine the excitement on your children faces when you show them a picture of the Easter bunny IN YOUR HOUSE! Growing up, my mom always made a big deal out of holidays. She said we should take every reason to celebrate. I love that. I remember coming home from school on Valentine’s Day and the table being all set with a festive table cloth, special napkins, and little candy gifts on our plates. I cherish those little memories and I want to pass that same sentiment – to celebrate every chance you get- with my children. Sometimes the most memorable gifts are the details. 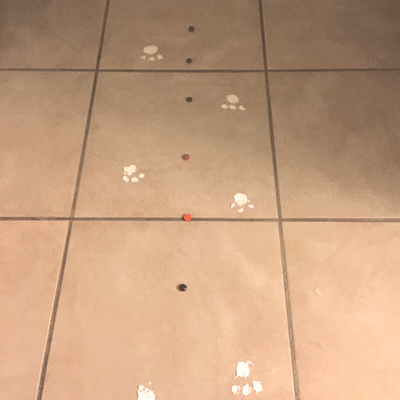 I bet my kids couldn’t tell you what was in their Easter basket last year but they do remember the bunny footprints and “bunny poop” on the kitchen floor in the morning. I used baking flour and spoon to make the tracks and added some M&M’s down the center. I told them the Easter bunny must have gotten a belly ache from eating too much candy! Once they found their baskets, I showed them the picture I captured of the Easter bunny in our house. Shock, excitement, disbelief! That little piece of “thrill” that the kids get when they see that photo- that moment- that is what makes parenting the most precious gift in the world. This year was my last “first Easter”. Capturing these moments is truly priceless. 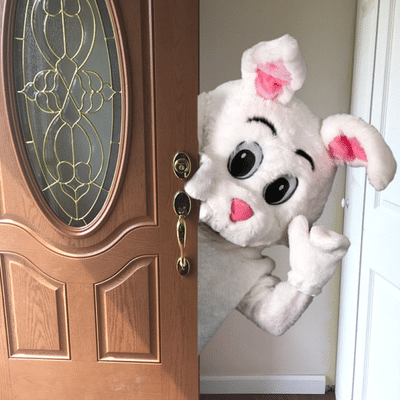 Catch the Easter Bunny in YOUR house! 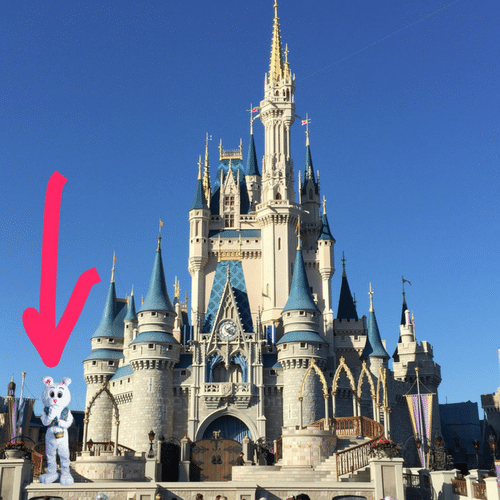 Using an app on your phone, you can snap a picture and use stickers to add the Easter bunny to the photo. The finished image will look like the Easter bunny was in your house (or wherever you want him)! The app I use is called Capture the Magic. It’s really simple and you can use it for any holiday! There are stickers for Easter, Christmas, St. Patrick’s day, Valentine’s Day, Halloween- even the Tooth Fairy! Open the app and select the picture you want to use (There are options to edit and crop if you want). Choose the stickers option. There are free stickers or you may want to purchase a sticker pack to get the Easter bunny you like. 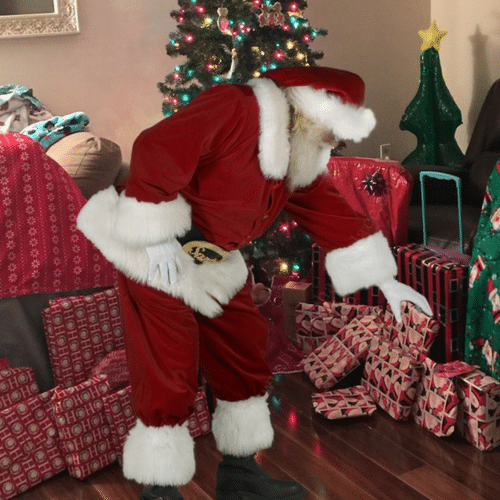 I used the 99 cent pack for the Easter Bunny and Santa because they allow me to really make it look like he was in your house! Add the Easter bunny sticker to your image. 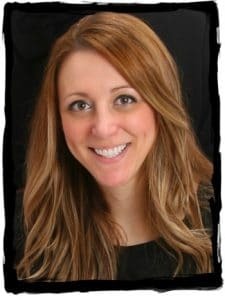 Resize, flip, or move to fit the picture. We did this with Santa and the kids ran around the whole day telling everyone that Mommy got a picture of Santa by the tree. They were sure it would land me on the naughty list next year! Where can I get the Easter Bunny photo app? You can use any photo! 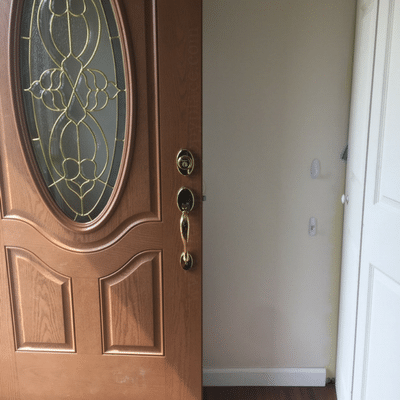 It can be your yard, your living room, the place you hide their Easter baskets, or any place you choose. The sticker packs have a lot of versatile options so you can fit your character practically anywhere. Even Disney World! 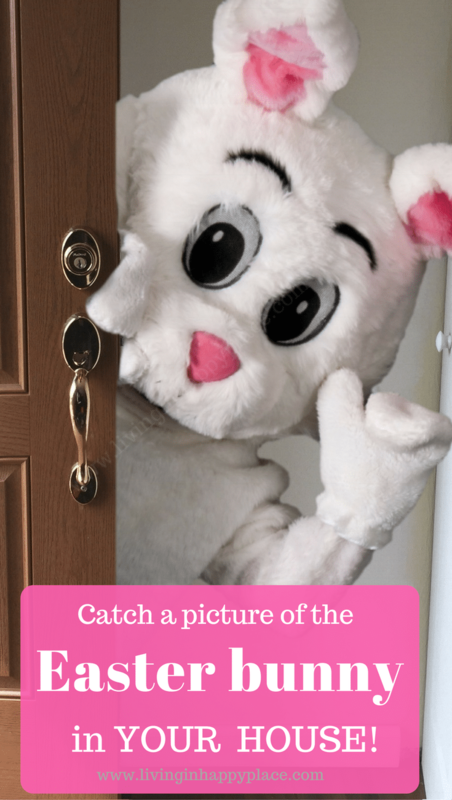 Where will you catch a picture of the Easter bunny in your house?